Rising up to the cause of bringing awareness against the burning problem – Drugs in schools and colleges, Kalamandir Foundation has called for an Anti Drug Rally on 30th July 2017. 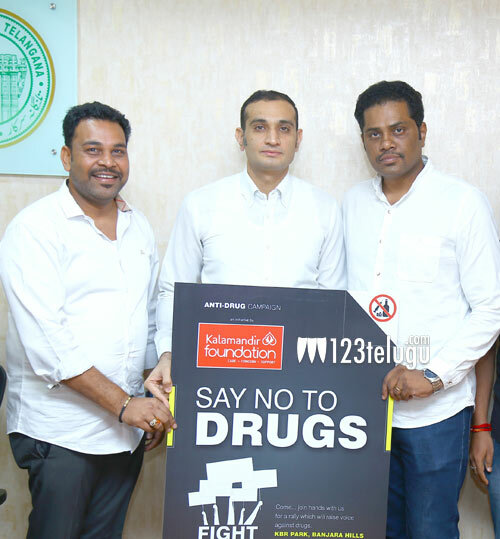 Akun Sabharwal IPS launched the poster of the proposed Anti Drug Rally in the presence of Kalyan from Kalamandir Foundation and students from Chirec School. Kalamandir Kalyan on this occasion says, “This rally is intended to bring awareness among the public about the evil called narcotic drugs. The rally will be held around the KBR Park on 30th July”. He also added, “We are also gearing up to release awareness booklets and make them reach all schools, colleges and parents to sensitize them more about the menace of drugs and precautions/steps to be taken. 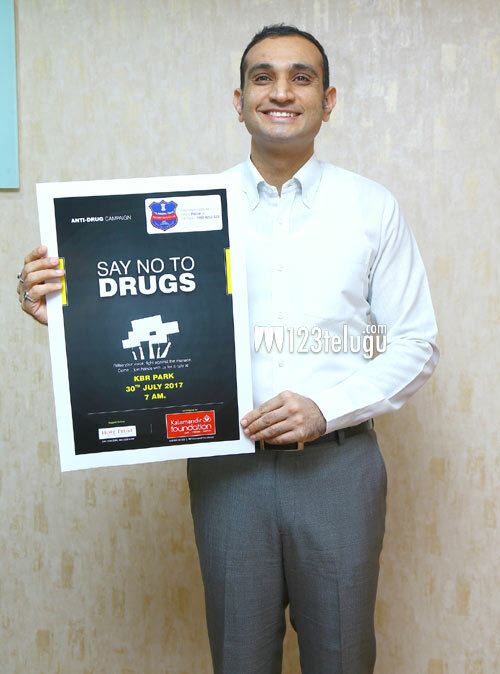 We have associated with HOPE, an anti drug rehabilitation center to support on this”. Kalamandir Foundation has already conducted Anti Drug Rallies in the years 2011 and 2012 under the guidance of the then police officials.